This is it! You’ve been planning and anticipating. The long distance move is finally here—though you are a bit nervous as there’s still a ton to do before you actually make that move across country or perhaps still within California, just the other end of the state. We are here to help! We’ve been doing this for years, which means we know what to expect and how to plan for even the unexpected. When thinking about Palo Alto long distance moving companies, you want to make sure you are getting movers you can trust, reliable movers, on time movers, movers that will care for your things as they would their own. This is exactly who we are and why customers keep coming back to us as their preferred Palo Alto, CA movers. When you’re in the process of interviewing Palo Alto moving companies there are a few questions you definitely want to be sure and ask. For one, are they insured? Having the right insurances in place is crucial. This is your stuff, your valuable belongings, you want to make sure they have all necessary insurance. Also, how do they screen their drivers/movers? You really never know and so you want to find out that theirs is a comprehensive process which leave no stone unturned. Long distance moves from Palo Alto, or anywhere in California for that matter, need to be dealt with by a professional moving company that understands the logistics of the process, a company that has “been there done that” in a manner of speaking. Don’t trust your belongings with just any California movers. Have you contacted the utility companies on both ends of the move? Have you changed your address? Change of address forms are located at your local post office. Have you begun to organize your things according to room? This will make it easier once you do arrive at your new location. Have you decluttered? What better time to take stock of your possessions and get rid of that which you no longer use—lighten your load! Have you created a running list? Being organized is essential. Maintain a list of what you’ve done and what you have yet to accomplish. It’s not just about the lowest price, it’s about finding a Palo Alto moving company that has experience when it comes to cross country or interstate moves. They need to be able to guide you throughout the move; this is what we do best! We take great pride in our results, and we take even more pride in the happy customers who refer us. Call today and let’s get started! 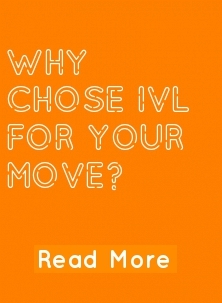 IVL was ranked #1 by moving.co.